One of the many reasons that Comic Book Conventions started was to give Comic Book fans a chance to meet the writers, artists and creators of their favorite comic books. As a young buy, growing up in a few different states, my friends changed quite drastically from the ages of 5 to 11. We moved quite a lot and we weren’t in the same schools for more than 3 grades until I was in the 8th grade. My mom and dad raised me on Star Wars, NFL Football, and Teenage Mutant Ninja Turtles cartoons. Due to these loves I found myself falling in my mom’s footsteps and using the right side of my brain more. 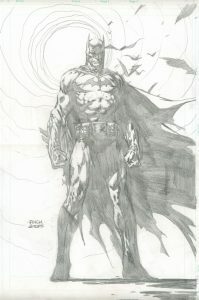 I was always caught drawing my favorite comic hero at the time, Batman, or my favorite NFL player at the time, Jim Kelly. I seemed to fall into crowds of friends who shared my love of these same characters. No matter where I moved, the nerd culture was always around. At the Group Real Estate, their is a fun support for the comic book side that I have. As I got into high school, it was very unheard of for nerds to play sports. I felt that I helped break that mold. Back then I was known as a “closet nerd.” I collected comic books, I loved watching Superman and Batman, and I was always the kid, even in high school, who raced home to watch episodes of Gargoyles and Star Trek The Next Generation. But outside of my home, I was always playing basketball and collecting NFL trading cards with my friends. As we look through the world today, these stereotypes and cliques are no longer “a thing.” Being a nerd and playing on the football team go hand in hand. In the 90’s, the Comic Book Convention was a place where those who were belittled for liking Batman could go and meet the people who helped drive their imaginations. It was an escape from reality to go to a place we were always dreaming of. 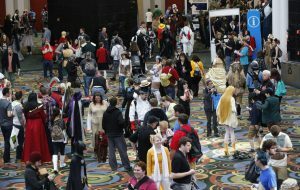 Comic Book Conventions have since evolved since then, bringing in big named actors from our favorite movies and TV shows, creating a culture of CosPlay, where people can dress up as their favorite characters for pictures and autographs, and a place to feel welcomed, no matter your stereotype of clique. Comic Con is a place to be yourself and let your imagination run rampant. The typical “jock” will go dressed as the buffest comic book hero they can think of, and the skinniest of “nerd” can go dressed as the exact same character. This brings together such a wonderful notion that we as a world should come together and enjoy one another as human beings. When we first witnessed the drawings in comic books of our favorite heroes, from Superman to Batman, we noticed one thing: they were buff! What makes this so special in today’s world, is that all of us perceive to be a better version of ourselves on a day to day basis. One of those parts of us, is to have a healthy body. As more and more superhero movies are coming out, we are noticing a big trend.. our favorite actors in these movies are buff and they grace the covers of our favorite Men’s Health magazine. Nerds now want to know how their favorite actors are looking like the characters they read about in their comic books. The diets that Ryan Reynolds used to change from skinny dork in Two Guys and a Girl to the hulking stud in Blade Trinity. How Gal Gadot went from being Miss Israel and skinny to the buff heroine Wonder Woman. This brings an entirely new take on “the nerd.” For the longest time, nerds were what we see portrayed in The Big Bang Theory, but as we go to these Comic Book Conventions we get to see that nerds come from all walks of life. Just as I always did… the kid who loves pro football just as much as he loves reading his favorite adventures about Batman. What makes all of this special is that you will get to see all types at Comic Con. 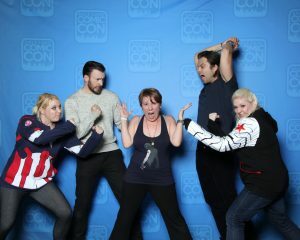 Comic Con brings out the very best in everyone. It is a cultural event unlike any other. A place where laughter is shared, “oohs” and “aahs” are shared as their favorite characters walk the floor, or as they meet their favorite comic book artists. People from all over will come flooding into Salt Lake for this Comic Con. Whether you come with friends, family or alone, there is a place for you here. You will feel a special bond with everyone there as you “geek out” over your favorite CosPlayers you see, as you run into your favorite celebrities, talk with your favorite writers, and buy art from your favorite artists. For someone so rich in the culture of nerdom, I still collect monthly comic books to this day – and, yes, I do read them all – and I love to find out more about my favorite artists and writers. It is a time of year that I look forward to. It is a place where I know that I can go, where I will share the same thoughts and feelings as the men and women standing right next to me as I flood the doors of the Salt Palace in Salt Lake. Comic Book movies really opened up the way for nerd culture and the phenomenon of Comic Con. After Iron Man became a huge success, and then the Avengers just 3 years later, you now see back packs, coats, and tee shirts all over with our favorite superheroes splashed all over. Many people have the dreams of writing comic books, drawing comic books, working on the sets of comic books movies, and this is just the place to go and showcase your talent. So, on that note, not only does Comic Con give you the chance to go and be a part of something wonderful, it gives you the challenge to pursue your dreams.